Dubai has everything one wishes for. This city is visited by a large number of tourists from all over the world. You can call it a city of entertainment and activities. Some people visit here for tour while some for shifting here permanently and some are already living here since birth. The reason for this crowd is its offers for tourists, some wonderful places and strange activities going on here. Spending a life here can be full of amazement and enjoyment but it can also be expensive. Despite of expenses on fun and normal daily life needs, one should try to save as much as they can or they can fall in debts. While Dubai residents worry about their expenditure, many are not able to find ways to save money. 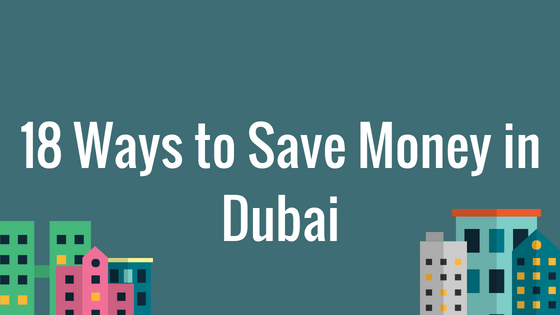 Here, we have listed several ways for Dubai residents to save money in Dubai. This is the first and the most basic step whenever you are thinking to minimize your expenses. Keep in mind, the amount of money in your bank account. Keep record of everything you spend on. Maintain a diary where you will note details of how much and on what thing you are spending on. Now, on every weekend or end of month, checkout what expenses were essential or your liability and what were on unnecessary things. This will help you make a plan to reduce your expenses a little. Be strict on your plans. To save money in Dubai, you need to save on every smallest thing you can. Spending money on food is your necessity and we are not telling you to eat less. But, you can make some changes in the shops from where you buy food items usually and also your usual schedule of eating. Buy at a shop where you can bargain also. You can expense less on junk foods as they cost much and harm more. Try to have your whole day meals at home rather than dining out. From morning coffee, breakfast to lunch and dinner, try to have all these at home. When you are dining out, don’t order in a large amount that you can’t eat and if you did that due to mouth-watering dishes, then take the remaining food with yourself to eat it later. Some will look down on scrimping on such expenses, but don’t mind that as you are just trying to save money for your own benefit and it is nothing to be ashamed of. We suggest to go for shopping where you find discounts but beware of certain “Sale” as some of them make you to compromise with quality. Rather than saving, you will end up spending more. Do online shopping as you will find various offers there and it will save your money and time. Don’t be a lavish in shopping. Limit your expenses on shopping unless it is necessary. Schedule time for shopping of apparel, shoes etc. Shop for winter a few months before, when prices are a little low. Avoid window shopping as it is not actually what to think, it results in useless expenses. Don’t try to impress others by buying useless things and instead of that be satisfied with what you have. 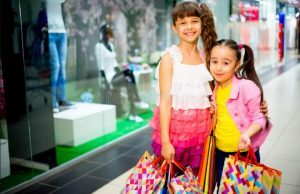 If you are a visitor and you have urgent shopping requirements but want to save money, then go for sale or visit cheaper malls like Dubai Outlet Mall or Dragon Mart. In modern times, people are too much addicted to mobile and laptops. They leave their phones unlocked and laptops on even when they are not using it. Switch off Laptops, lights, fans when not in use. Try to reduce the thermostat a bit instead of using blankets, while sleeping. Saving electricity will save your money as you won’t get huge power bills per month. Save water by not letting it run while brushing or doing the dishes. Take metro instead of other transport means as it will save your money. Even if you have a personal vehicle, try to avoid using it in case you want to save money on petrol or diesel but it doesn’t mean that you suddenly stop using your vehicle. While taxis are also not too expensive here, so you can use them too. Don’t think of buying luxurious vehicles unless you can afford it and when you really need it. When you use your personal vehicle, then change routes of destination like choose the route with most shortest distance. Drive carefully to avoid fines. For parking your vehicle, use prepaid seasonal parking cards which you can purchase online and it doesn’t demand hourly fees. Purchasing this card for a whole year of category A will cost you Dhs4,500, Dhs2,500 for six months and AED1,400 for three months and in category B, it will cost you Dhs2,500, Dhs1,300 and Dhs700 respectively. 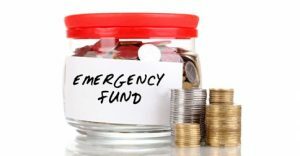 Despite of these saving methods, you can have some emergency use of money. And, you should plan for this before getting trapped in these situations. By emergencies ,we mean short-term like a sudden need of cars repairs, health issue or unfortunate accidents. For these needs, you should have a saving account in banks which gives high interest on savings. This emergency fund will let you plan for emergencies without falling in debts and will help you save money in Dubai. If you have a necessity of buying furniture, then to save money you can buy some used furniture from online websites. There are many websites like Dubizzle Dubai and Second Hand Dubai where you can buy used furniture and also you can sell used items through these sites. For monthly groceries, avoid supermarkets and go for general stores. Make a list before going so that you can analyze your expenses. Avoid spending money on unnecessary things and stick to your listed stuffs. Dubai is a place of attraction. Even when you are living here, you will not ever find that you have enjoyed everything in Dubai because there is no limit of strange things in Dubai. Monuments, water sports, restaurants providing dishes from all over the country, adventurous activities and many more things continue spreading here and everyday something new get added. Since one can’t resist to plan for entertainment, it is advisable to spend less. Travel using metro or bus. Stay in hotels of reasonable price which you can afford. Look for spots with no entry fee. Plan for holidays and make a fix budget for your expenses. Try to stick to that budget unless it’s necessary to spend more. Too much expense in a city like Dubai can make you fall in debts soon. If you are already in debt, try to clear it soon. Don’t make a bad habit of using credit card too much and not paying it on time. When you don’t clear credit cards debt, it will soon become your burden when the deadline comes. So, try to reduce the use of credit card. When you go for shopping, use cash instead of credit cards. And, if you have borrowed money with someone or have taken loan from a bank, don’t take time to pay altogether, start from small amount and pay it weekly or monthly. Never be careless in the matter of clearing debts. Make your living according to your income. Try to give only 20% of your earning in paying rents. If you live in apartments, then choose the one which you can afford. If you choose to live in other’s home as a renter, then it will be less expensive. From are to area, rents vary in Dubai. Some will be expensive and some will be on reasonable rate even in hotels. Try to not go beyond your means. This will help you minimize much of your expenses due to variability in its rate. Even if you are employed, you will must have some hours of day which you spend getting bored or roaming here and there. Why not use that time to earn a few dollars? There are many part-time jobs available online and offline which you can try. It will just take your few hours but earning through it can be used to pay for bills and other small requirements. It will help minimize expenses from salary. Read our guide to find part time jobs in Dubai. We have already told how to save electricity which will reduce electricity bills. Now, for paying whatever amount of all bills, use online payment methods instead of going to payment centers. This will save your time and transport costs. Also, many websites give you cashback up to 100% which will help you to expense less on bills. And, also remember to pay bills on time rather than making it a burden suddenly and end up paying fine. Kids always do the work of destroying things which causes you to spend money. Give more attention to kids. Take them to park and some public places rather than taking them to malls regularly as they they get attracted to games and other expensive toys which you can’t afford always. Most of the malls in Dubai are really expensive and you have to be concerned regarding this if you want to save money in Dubai. Celebrate their birthday sometimes in a simple way with some relatives and friends. Make them engage in physical games rather than games on mobiles and video games as they get addicted to these things which will affect their health also and you will need to charge the gadgets again and again which will consume more electricity. Love your kid but make him or her satisfied with what you can afford. Put away a part of your earning i.e, put away a fixed amount from your earning and decide to not touch that money for your expenses. You should save at least 10% of your monthly income. Keep that money in coin box or piggy banks which seem like a toy but is actually very helpful. It will resist you surely from taking out that money as you have to break it for using that money. Don’t make excuses in these things if you must save money in Dubai. Skip the repetitive iPhone or Samsung upgrade cycles and use your gadgets as long as possible. While buying gadgets on EMI sound cheaper, you are still paying the full price, even if on a longer term. Use power-saving appliances and buy long lasting bulbs. Use appliances that can save consumption of water and electricity. Electrical equipment such as refrigerators, washing machines, ACs and microwaves come with energy ratings. Buy the ones with the best rating, as they have better power efficiency. Health is also a matter of concern while you want to save money in Dubai. Eating healthy is less expensive than spending on hospital bills. Some people tend to save money like a scrooge. They even eat less and also eat cheap or unhygienic foods which will not actually save their money but will result in causing diseases. To prevent diseases, eat healthy and do exercises daily. Eat more fruits ad green vegetables as these are not expensive in Dubai and will benefit your health also. You will not have to visit hospitals and spend your money there if you keep yourself healthy. Avoid going to gym and workout at home unless it is too necessary for you to lose weight and maintain shapes. Maintaining your looks, your haircuts is actually also a necessity as your personality defines you. While if you want to reduce your expenses on these maintenance, you can avoid going parlors regularly and rather than it, keep some tools of make-up at your home like don’t go parlor just for your nails to be painted. You can do that yourself. Get ready yourself for small parties and function instead of going parlor. These tips apply to both men and women and can help you save money in Dubai. While having parties make your moment full of fun, after sometime you realise that you have spent a lot but still these habits don’t leave you in Dubai because of presence of varieties of foods and drinks from all over the world. If you want to save money in Dubai but can’t avoid parties, then go for happy hours in Dubai which provide many offers on drinks and foods. For saving money on these things, you just have to adjust your time of parties and fun. Generally, happy hours run on weekends but somewhere you will find it going on everyday. If you plan for eating out, then choose less expensive restaurant but still try to avoid regular parties and eating out. Thank you. I literally saved dh 3000 on this year’s rent as I refused to give more than 20% rent. I NEED PART TIME JOB. PLEASE SUGGEST WHERE I SHOULD LOOK FOR? I wanted to add, try calling cards available in most shops to make calls rather than paying money for Botim and C’me apps from Du / Etisalat.